Spot On feels much like a marathon to see how high a score you receive before you lose, but it does save your progress on the current run so you can return to it later. You also have a limited number of items to help you out, depending on the difficulty you select. These include the ability to pause or entirely reset the timer, a random reveal of one difference, or the nuclear option of just revealing all the differences and moving on. The panels themselves look very nicely scanned and crisp on the screens. There are 120 or so comics to take on, some in colour but many in daily newspaper black-and-white. 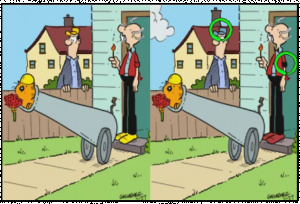 The differences between copies of a panel will sometimes take advantage of colour if it’s available and are overall a decent challenge. Sometimes a difference is as obvious as a letter missing from a sign or a shirt being a different colour, but other times that last difference you’re frantically searching for can be a simple elimination of reflection lines or a window missing from a background skyscraper. It all seems fair, though, and there will be a different quintet of changes each time you encounter a panel — even when you face it again after losing a life. While the fundamentals are sound, the surrounding treatment of it drains a good amount of spirit from the source material. 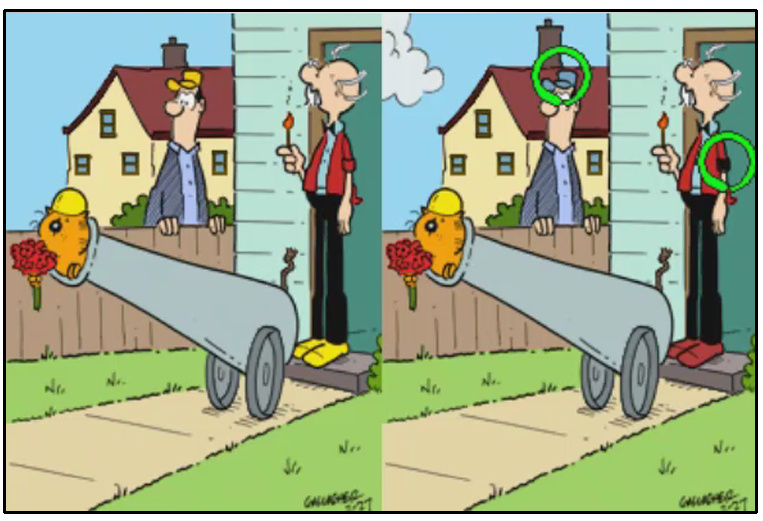 The player HUD, which keeps track of lives, time, and helper items, looks ugly compared to the comics and is brought up and removed from the screen by a clumsy, sideways press of the L or R buttons. 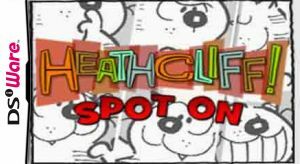 The HUD features a less-than-appealing image of Heathcliff’s face surrounded by the little stars that temporarily appear on the panels and can be tapped for points. The items are represented by symbols such as an hourglass and magnifying glass that make sense, but milk bottles represent finding all clues and a fish represents pausing the timer (because fish are eaten by cats and cats have “paws”, perhaps?). It’s mostly non-intuitive and takes some getting used to. 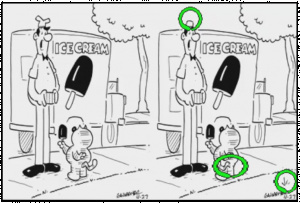 After every 10 levels, the game also turns from the panels to play a “whack-a-mole” style bonus game called “Waka Heath” that involves tapping on static images of mice rising out of cans while avoiding the big cat himself. It’s unappealing and not very fun, but at least it doesn’t last long and gives you a random item. What may be most disappointing about Spot On, however, is that none of the panels in the game have their captions. One-panel comics often do not contain their dialogue in speech balloons, but instead rely on quotes or text beneath the image for context. It is understandable that this text shouldn’t appear during the game to afford more real estate on the screen for images, but it could have been brought up on the HUD or with the pause button. There is even an image gallery where you can view the panels outside of any time or game restraints, but the captions aren’t there, either. Without the captions, many of the cartoons in Spot On feel like random views into the life of a strange cat. He’s doing something, but you don’t always know exactly what or why. His owners are saying something, but their mouths are frozen wordlessly (or sometimes missing entirely, if that’s one of the differences). The appeal of featuring comics as spot-the-difference fodder takes a big hit when not all of the spirit of the material is there. In fact, it even hurts it somewhat as without context you’re basically being asked to find the differences on the same collection of flat characters and locations over and over. In addition to the image gallery and “Waka Heath,” Spot On includes an extra where you can take any of the panels and colour them in, but the system for doing so is as clunky and uninspiring as the rest of the interface. The music is simple and unmemorable, yet harmless. 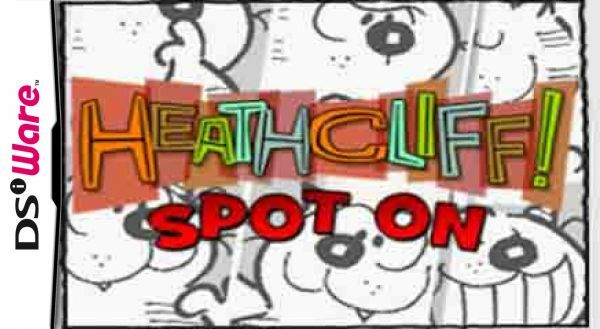 Heathcliff: Spot On works well as a spot-the-difference game in itself, but unfortunately lacks the variety and pizzazz that a licensed title like this has the potential for showcasing. Huge Heathcliff fans may still like to work on the panels even without the captions, but might be turned away by the manner in which it is all packaged. 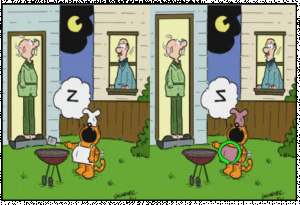 Those new to Heathcliff will likely find little here to draw them in and would probably better be served by a spot-the-difference game with wider-ranging images and themes. I remember when I was a kid watching the cartoon series lol. That wast the first thing that came to mind when I saw this review. For a game like this, this actually isn't too bad of a score. It seems like games like this usually get 1's or 2's. I got a copy for free and I actually enjoyed the game, different opinions I guess. Boring indeed, would rather look at it in a book rather than a game. Funny enough, I just remembered this old cartoon earlier today, and then this review pops up. @Tasuki TRUTH!! 80 babies stand up! LOL As soon as I saw Heathcliff's face, I started singing the theme song. "Heathcliff...Heathcliff, no one should....terrorize the neighborhood! But Heathcliff just won't be undone....playing pranks on everyone!" Hahahaha Nostalgia at its best! I had the theme tune downloaded and on my 3DS MP3 player for a while. I'd rather watch the cartoon on Youtube than play this game. I only barely remember seeing the cartoon in the '80s because I've predominately seen that OTHER orange cat. Meh, I was always a Garfield fan. I must be the older one here, because I remember there were two Heathcliff shows. One with Cats and Co and one with Dingbat, which was older. This was a surprising announcement. Alas, I never cared for Heathcliff. I was more of an Inspector Gadget boy. Pass! Heathcliff had 2 different cat groups: Heathcliff the house cat, Sonja, & the dog. The second group was the Catillac Cats. Also, Heathcliff, in the cartoon, was voiced by Mel Blanc. 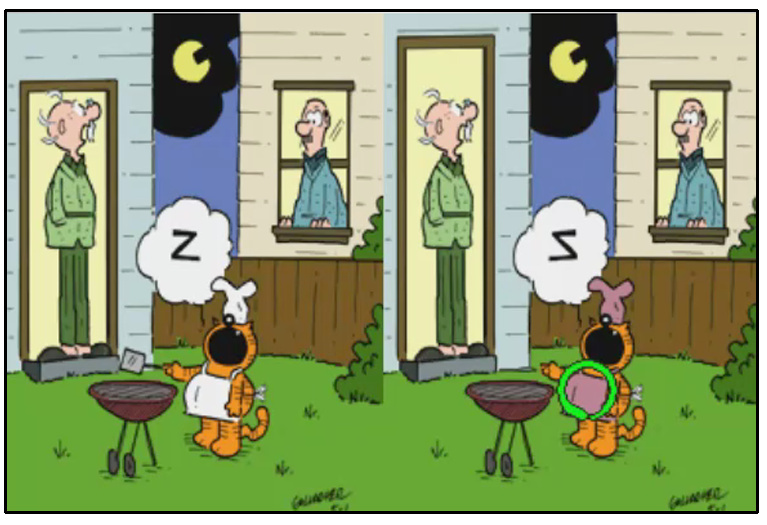 I love both Heathcliff, & Garfield. As for the game, I may still get it. $5 is a bit, but I'll ease off(/up about) the price, considering I am a Heathcliff fan, this game doesn't sound too bad, considering what (game genre) it is, & that this is a licensed (-property based) title. Wait, it's not originally based on a mediocre cookie-cutter '90s animated show? Huh. 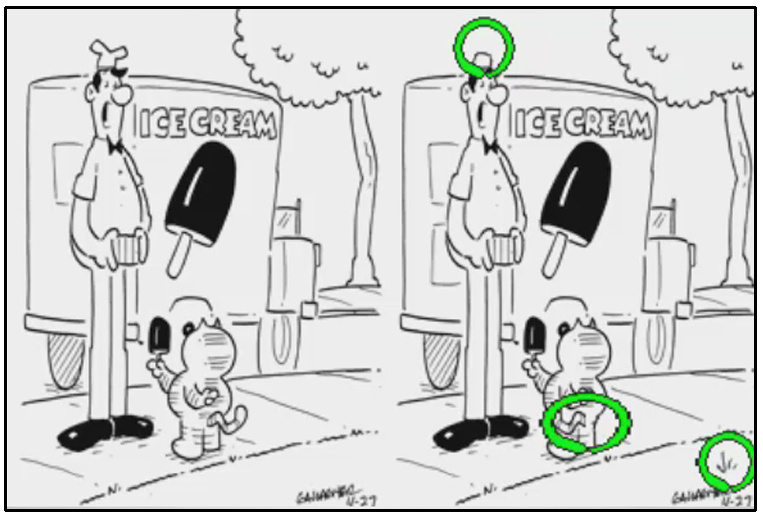 It's actually based on the comic strip by George Gately.